This unique interpretation of a traditional candlestick table was designed and built in our studio. 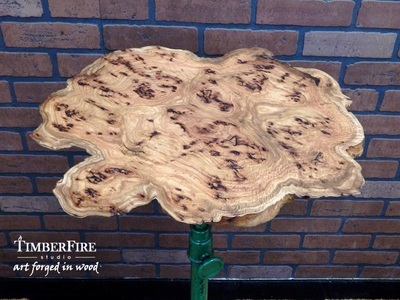 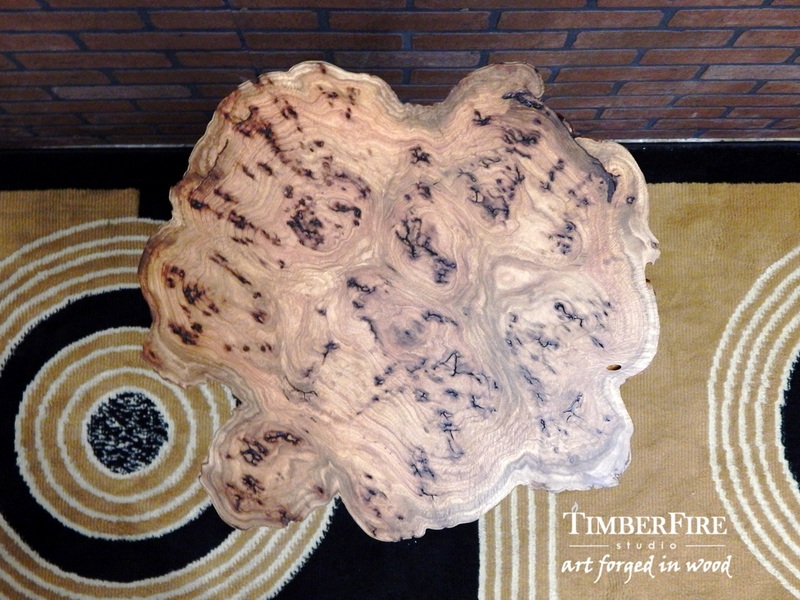 It features a gorgeous slice of Grey Box Burl imported from Australia. 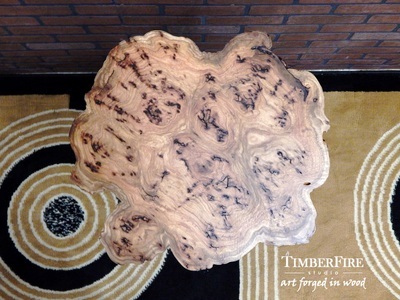 This rare specimen of exotic wood has been sealed with a hand rubbed European oil finish and buffed to a satin sheen. 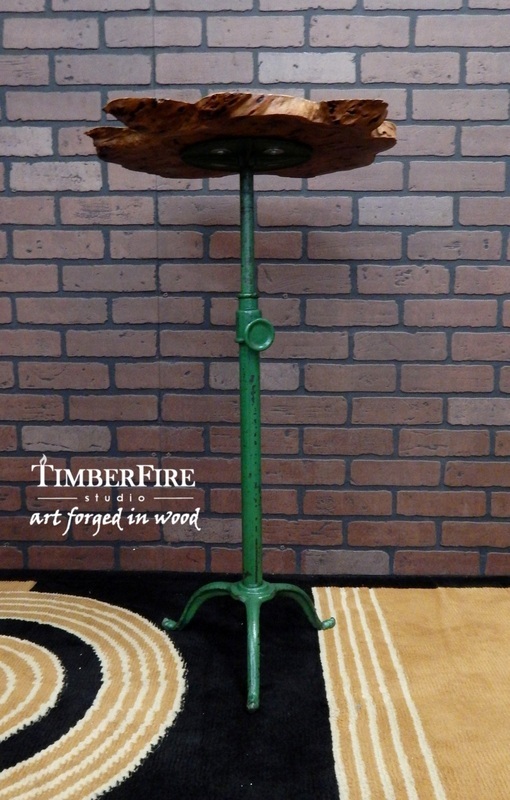 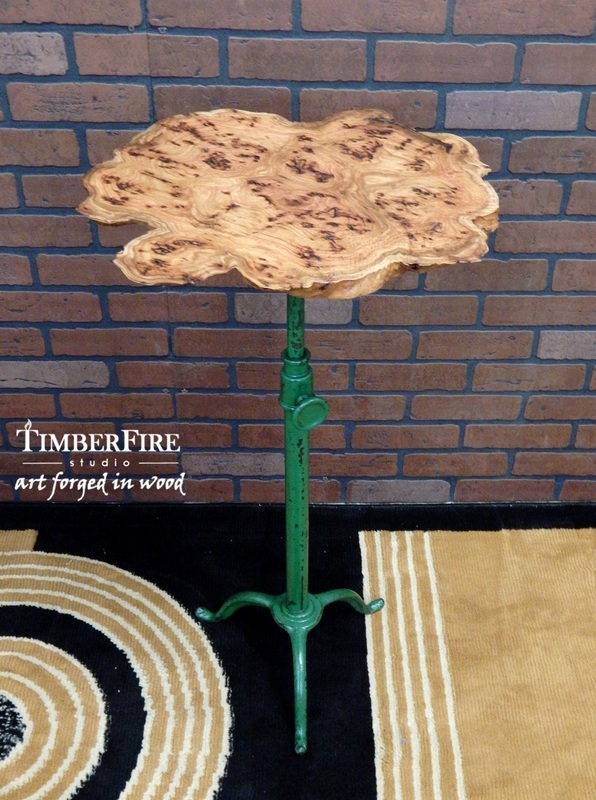 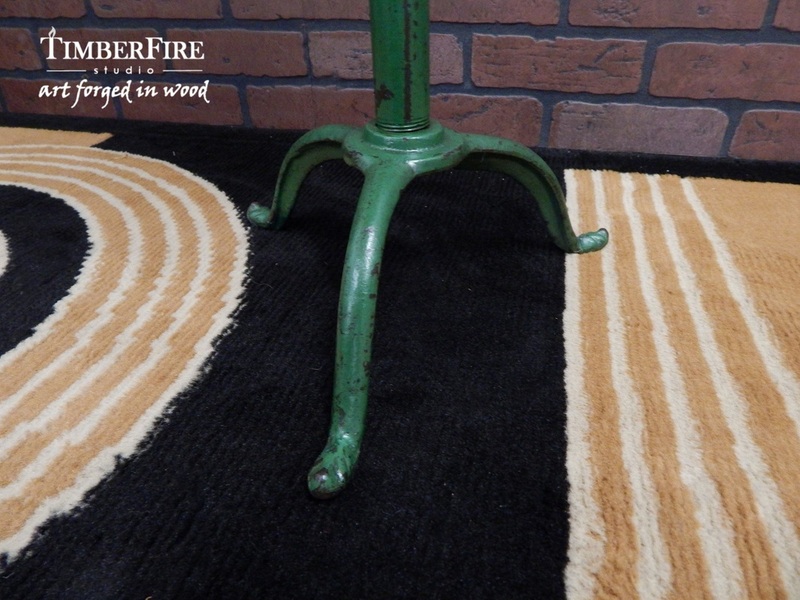 The base is a delightful antique cast iron stand that adjusts in height and has three cabriole style legs with foliate carved feet. We have carefully preserved the original green patina with a clear coat of lacquer. 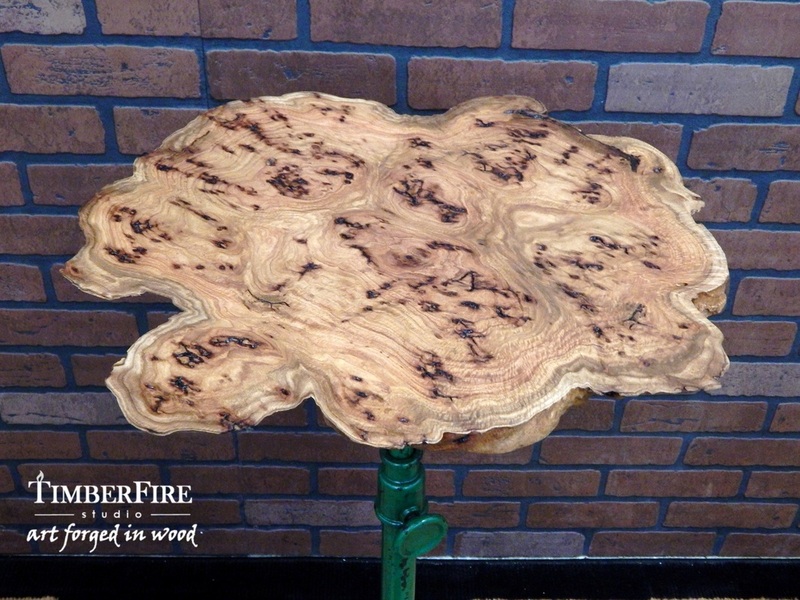 This exceptional table is proof that good things come in small packages.